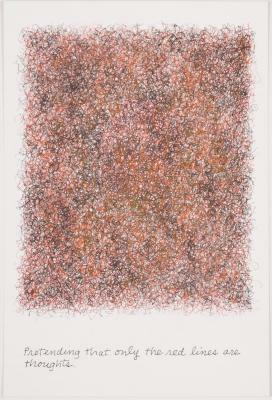 Glendalys Medina, Color Study #1, Color Pencil & ink on paper, 12" X 9", 2014. 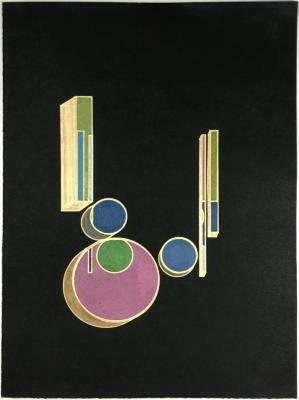 Glendalys Medina, Color Study #4, color pencil & ink on paper, 12" X 9", 2014. 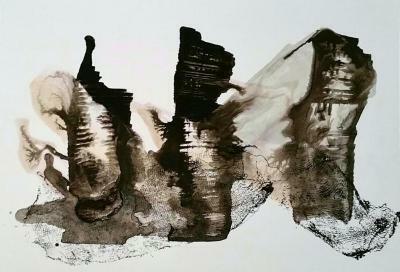 Roberta Allen, Pretending That These are Negative Thoughts, ink on paper, 9 in X 6 in, 2014. 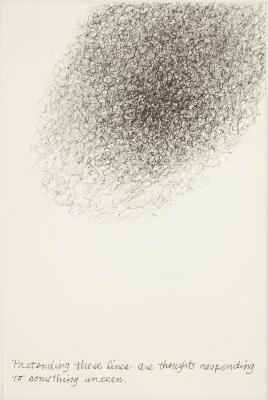 Roberta Allen, Pretending These Lines are Thoughts Acted upon by the World, ink on paper, 9 in X 6 in, 2014. 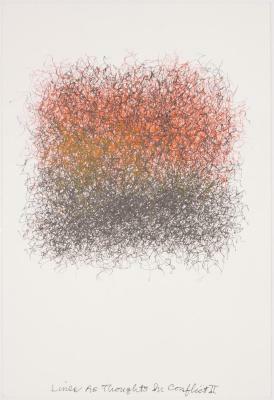 Roberta Allen, Pretending That Only the Red Lines are Thoughts, ink on paper, 9 in X 6 in, 2014. 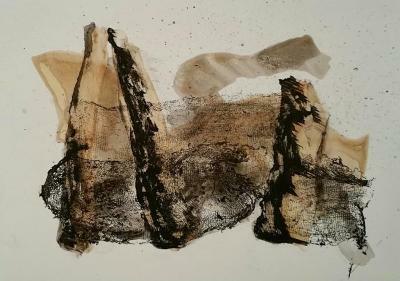 Roberta Allen, Lines as Thoughts in Conflicts II, ink on paper, 9 in X 6 in, 2014. 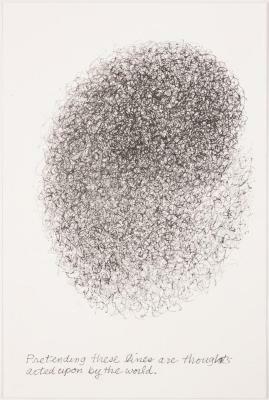 Roberta Allen, Pretending that an Unknown Number of Lines are Thoughts, ink on paper, 7.5 in X 6 in, 2014. 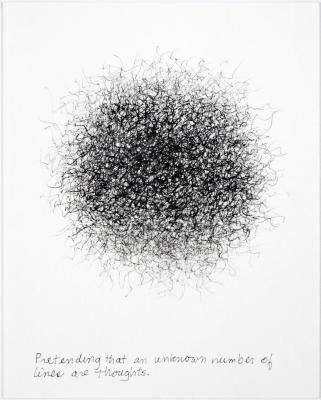 Roberta Allen, Pretending these Lines are Unthinkable Thoughts, Disguised as Conflicting Thoughts, ink on paper, 9 in X 6 in, 2014. 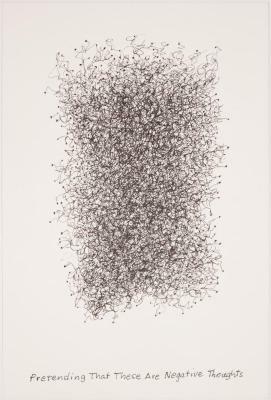 Roberta Allen, Lines as Thoughts Disguising Emptiness, ink on paper, 8.5 in X 6 in, 2014. 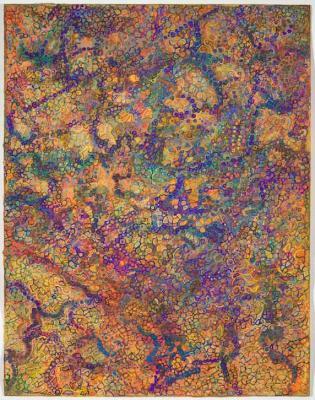 Roberta Allen, Pretending these Lines are Thoughts Responding to Something Unseen, ink on paper, 9 in X 6 in, 2014. 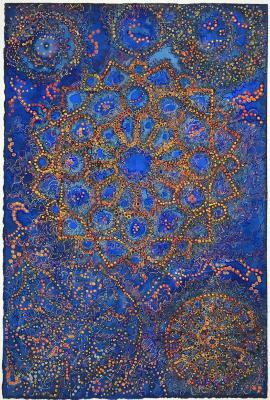 David Ambrose, Nocturnal Revelations , watercolor and gouache on pierced paper , 18 in X 12 in, 2012 – 2015. 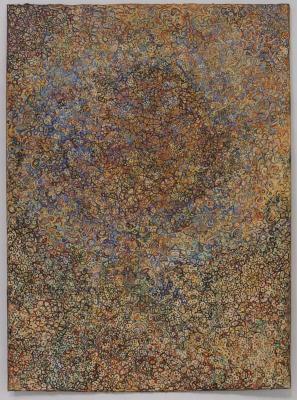 David Ambrose, The Dust of Anguish, Watercolor/gouache, 16 in X 12 in, 2008. 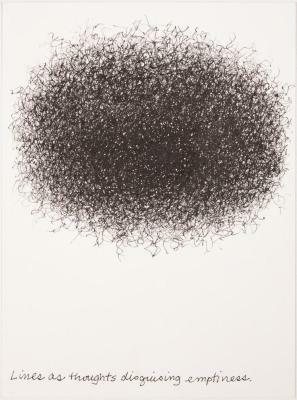 David Ambrose, German Engineering, ink and gouache on pricked paper, coated in graphite, 24 in X 18 in, 2011. 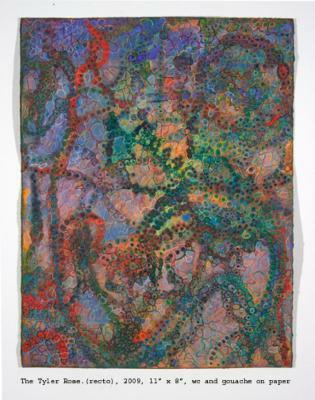 David Ambrose, Architectural Fragments with Lace Entanglements, Watercolor, 30 in X 22 in, 2003. 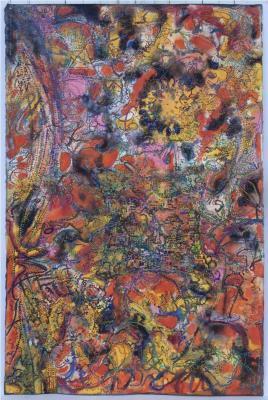 David Ambrose, The Tyler Rose, Watercolor/gouache, 11 in X 8.5 in, 2009. 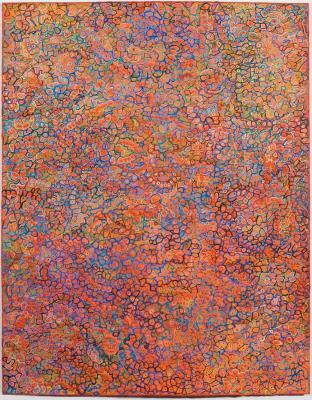 David Ambrose, Dust Storm Invasion, Watercolor / gouache, 23.5 in X 18 in, 2009. 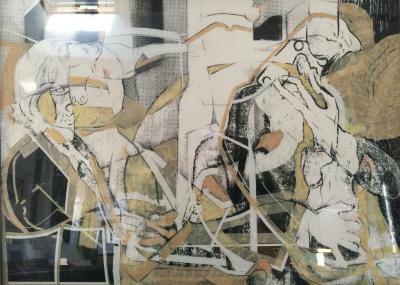 David Ambrose, Baroque Premonition, Watercolor/gouache, X , 2008. 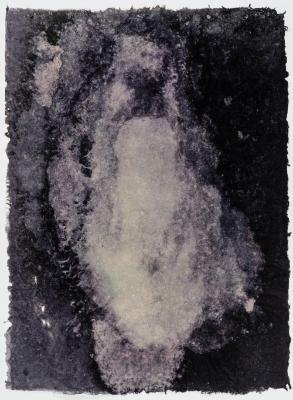 David Ambrose, Carolingian Minuscule, Watercolor, gouache on pierced paper, 11 in X 8 in, 2008. 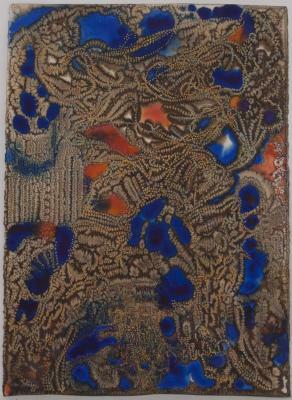 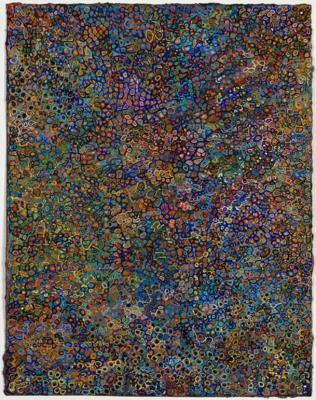 David Ambrose, Emeralds and Sapphires, Watercolor, gouache on pierced paper, 14 in X 11 in, 2009. 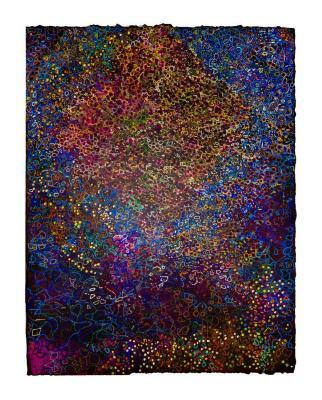 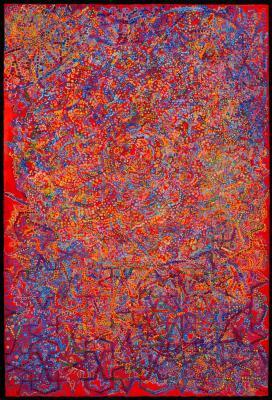 David Ambrose, Path of the Threads, watercolor/gouache, 40 in X 25 in, 2013. 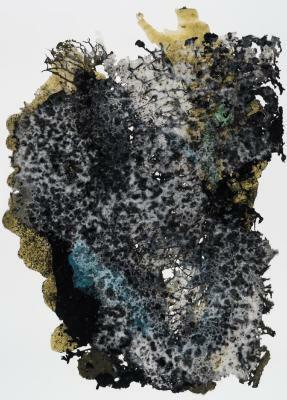 David Ambrose, A Silent Spanish Fury, Watercolor, gouache on pierced paper, 30 in X 22 in, 2012. 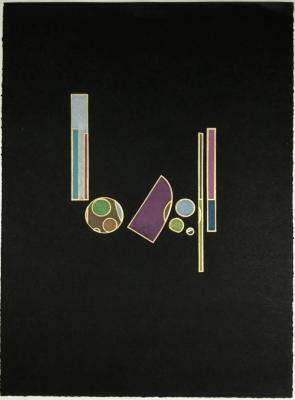 David Ambrose, The Rhythmic Laws of Beauty, Watercolor and gouache on pierced paper, 14 in X 11 in, 2009. 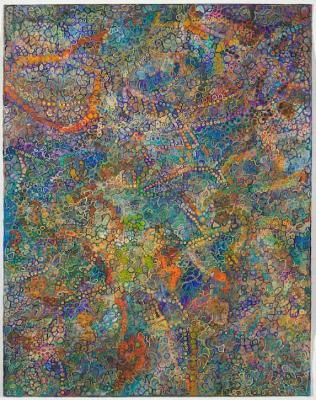 David Ambrose, Celestial Coventry , watercolor, gouache and pastel on pierced paper , 22 in X 15 in, 2014. 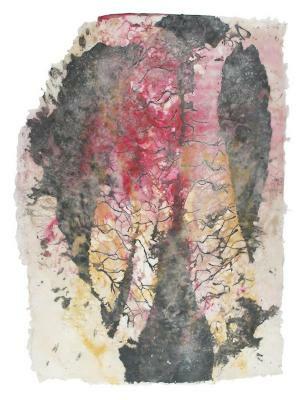 David Ambrose, Burmese Python in Paisley , watercolor, gouache, and pastel on pierced paper , 15 in X 11 in, 2015. 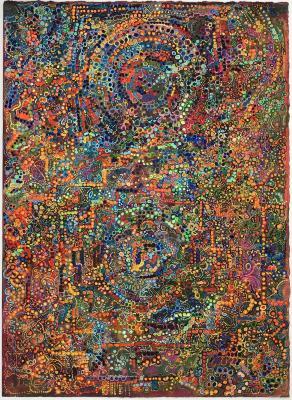 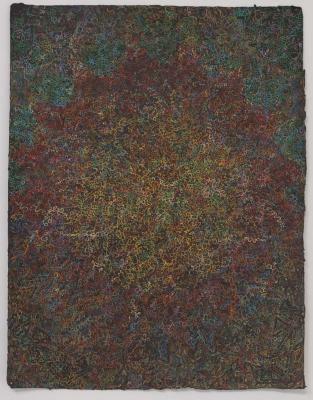 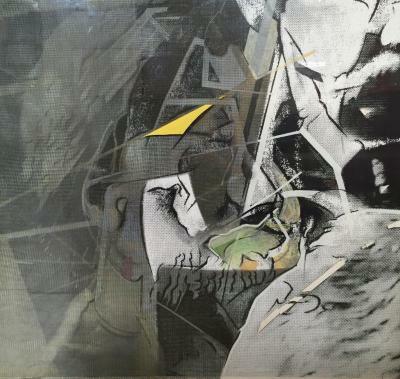 Sunny Balzano, Untitled, Mixed media on paper and glass, 32.5 in X 37.5 in, 1997. 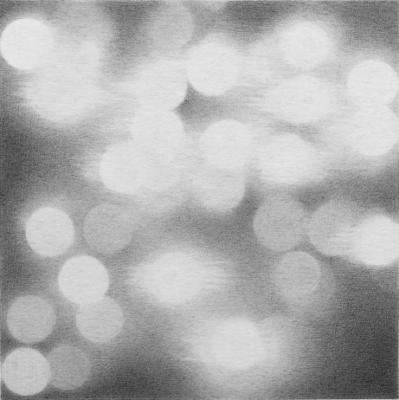 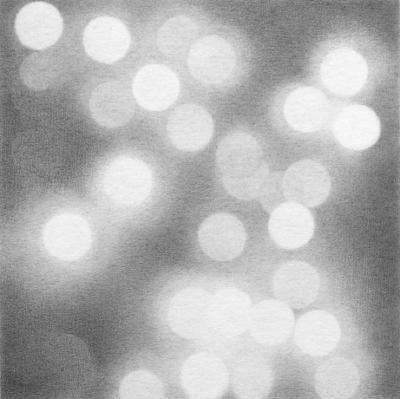 Rica Bando, Urban Light Front Street VI, Graphite, 12.5 in X 12.5 in, 2007. 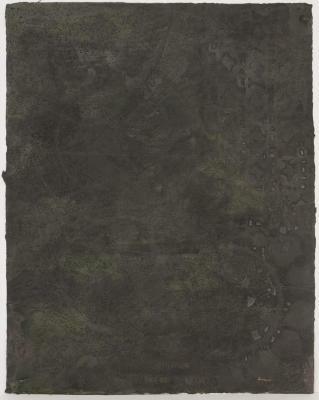 Jarrod Beck, Vug, Pigmented abaca, 30 in X 22 in, 2015. 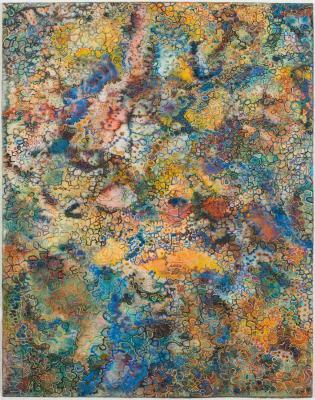 Jarrod Beck, Xeno, Pigmented abaca, 30 in X 22 in, 2015. 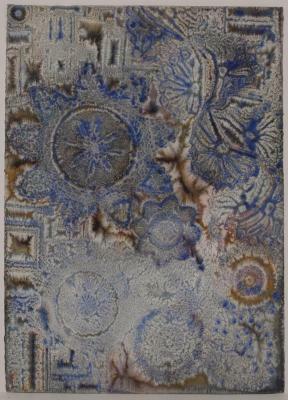 Jarrod Beck, Phenocryst, Pigmented abaca, 30 in X 22 in, 2015. 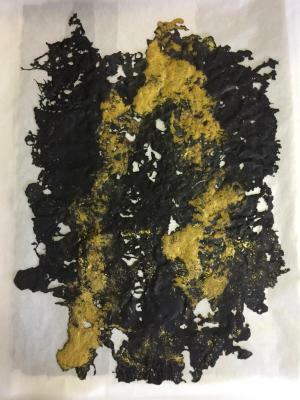 Jarrod Beck, Rawhaze, Pigmented abaca pulp, 40 in X 30 in, 2015.